Magnetic infoframe for writing directly onto inserts in A4 format. Table sign with magnetic frame for information materials in A3 format. The magnetic frame can be used in either portrait or landscape format. The self adhesive infoframe with fold back magnetic cover for documents and notices in A5 format. The infoframe for displaying A4 information on fabric surfaces. Floor stand with magnetic frame for information materials in A4 format. The magnetic frame can be used in either portrait or landscape format. Variable in height with adjustable reading angle. The self cling infoframe in 70 x 100cm format for glass surfaces exposed to sunlight. UV stabilised and heat resistant. 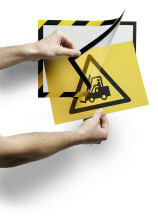 The self cling infoframe in 50 x 70cm format for glass surfaces exposed to sunlight. UV Stabilised and heat resistant. 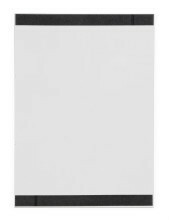 The self adhesive infoframe with fold back magnetic cover for documents and notices in A4 format. 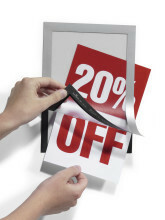 Self-adhesive A3 information sign with folding magnetic front panel. 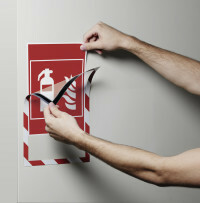 Twin coloured infoframe for safety signs. 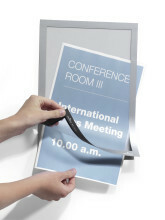 Self-adhesive infoframe for writing directly onto inserts in A5 format. The self adhesive infoframe for displaying A5 information. Magnetic display pocket for information in A4 format on metal surfaces. 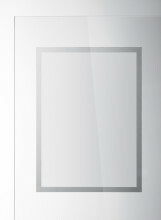 The self adhesive infoframe with fold-back magnetic cover for documents and notices in A3 format. The magnetic infoframe Plus. For displaying information in A4 format. The self cling infoframe in A4 format for glass surfaces exposed to sunlight. UV Stabilised and heat resistant. A3 DURAFRAME® available in a pack of 6. The magnetic infoframe for documents in A6 format. Magnetic infoframe for headings of A3 documents on whiteboards. The magnetic infoframe for displaying information in A5 format. 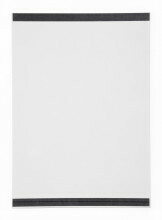 The self adhesive infoframe with fold-back magnetic cover for documents and notices in A4 format. The self adhesive infoframe for writing directly onto inserts in A4 format. The self cling infoframe in A3 format for glass surfaces exposed to sunlight. UV Stabilised and heat resistant. 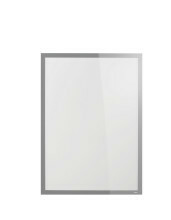 The self adhesive infoframe with fold back magnetic cover for information and notices in A6 format. The static cling infoframe in A2 format for glass surfaces exposed to sunlight. UV-stabilised and heat resistant. 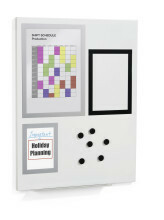 Magnetic display pocket for displaying information in A5 format on metal surfaces. The magnetic infoframe for displaying A4 documents on metal surfaces. The self cling infoframe in A1 format for glass surfaces exposed to sunlight. UV stabilised and heat resistant. 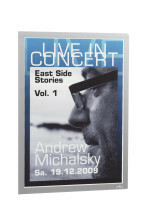 Wall information signboard with magnetic frame for posters in A4 format. 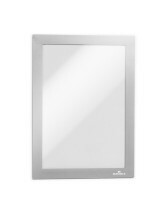 The magnetic frame can be used with variable reading angle in either portrait or landscape format. Table sign with magnetic frame for information materials in A4 format. The magnetic frame can be used in either portrait or landscape format.